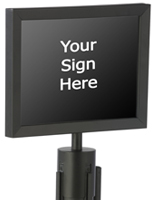 Now that you have a crowd control system, you may be wondering how it can be customized to better serve patrons or the way you do business. 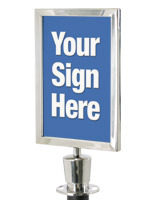 These stanchion signs provide you with the tools to do just that. 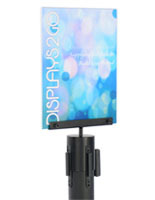 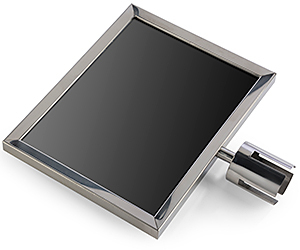 The majority comprises frames and holders for signage, but we also offer a number of additional accessories like brochure holders and hand sanitizers. 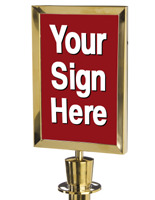 Stanchion signs are commonly used to instruct people to wait, where to form a line, or seat yourself. 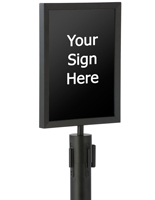 Their value lies in their ability to give customers direction without the need for an employee or a greeter. 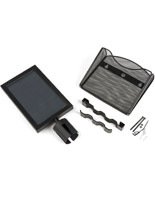 What crowd control accessories do we sell? 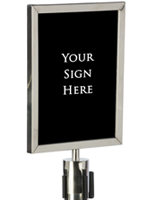 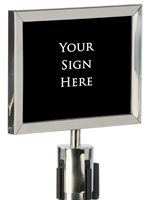 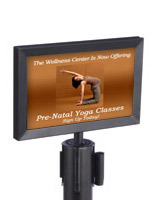 Stanchion sign frames make up the bulk of what we offer. 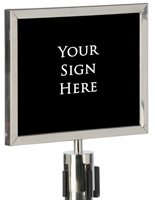 Manufactured from metal, these frames are available in 7" x 11", 8-1/2" x 11", and 11" x 14" formats. 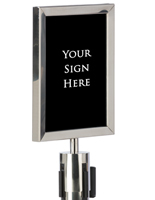 Your choice of finishes comes in polished gold, chrome, and black. 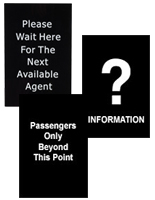 Pre-printed signage is offered separately. 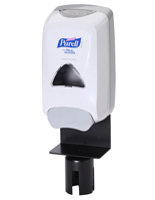 A hand sanitizer topper is a new product which gives people waiting in line a voluntary chance to cut the spread of germs via the automated dispenser. 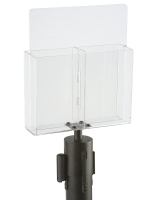 The 1200ml refill bottle is sold separately. 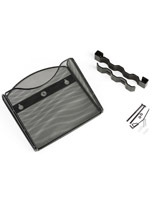 Brochure pockets and trays offer a unique opportunity for businesses to extend their marketing reach. 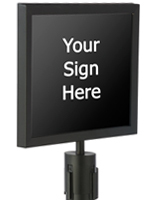 Provide people with company literature, financial rates, or other promotional content while they wait. 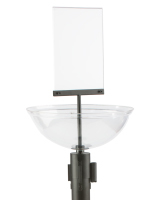 A neat accessory just launched is our acrylic plastic bowl attachment. 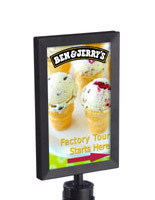 Offer patrons a holiday candy or lollipop. 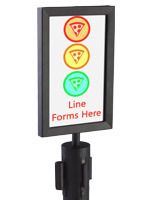 It makes the kids (who have to wait in line too) very happy. 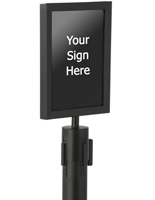 The one thing to remember is all of these crowd control accessories are designed to fit with our proprietary QueuePole.Economy line. 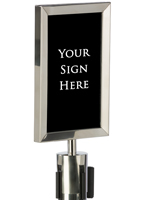 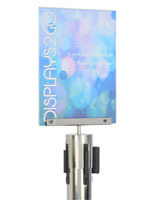 Since these top selling stanchions feature the most competitive pricing on the web, the sign holders and toppers that go with them come with low prices of their own. 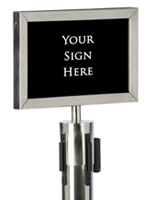 Help direct your customers or organize checkout lines smoothly with these stanchion post add-ons.